I giggled. I was haveing so much fun. "MUSAAAAAA!!!" I spun around only to see Joel on the ground....dead. Tears fled down my face. When I saw Riven with his sword, I knew what he had done. "You MONSTER!" "Musa, calm down-" "That is if I will calm down!!!" I could feel a swelling in my chest that burst out as I yelled. "WINX BELIEVIX!!!!!" In a flash of light I was in my beleivix form. I felt more power than usual. I could feel my rage blow out of my body as I cried. 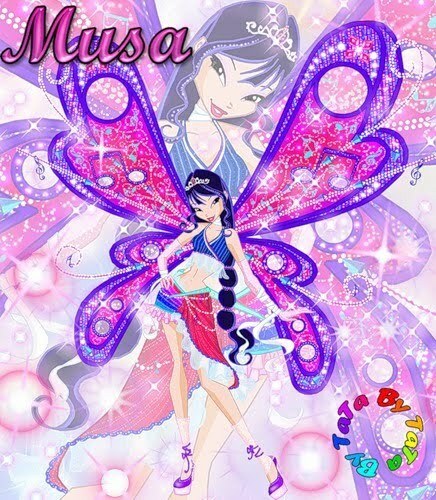 a comment was made to the poll: Musa is more beautiful in wich pic?? ?